POWER, agility and speed – this isn’t an advertisement for athletics. It’s rather a description of the untapped potential of your business, which is at your fingertips. Training isn’t necessary – your business can have power, agility, speed and a whole lot more with the flick of a couple of switches. We’re talking about switching over to cloud technology here, which is rising in popularity for very good reasons. According to AMI research, SME spending on cloud technology will nearly double from $123 billion in 2013 to $243 billion in 2018. This reflects an annual growth rate of 15 per cent. Brisbane entrepreneur Aimee Engelmann (pictured) is one of the early adopters who started using the cloud eight years ago. She insists that she couldn’t run her businesses without the cloud and it has literally led her to a world of previously unattainable opportunities. The advent of cloud technology led to the development of her newest business, an Australian owned and operated outsourcing provider in the Philippines named Beepo. “The key benefit of working from the cloud has been tapping into global resources,” says Engelmann. “Beepo has 80 staff in the Philippines who work for Australian businesses on anything from bookkeeping to human resources, sales and marketing support, and graphic design. Running her businesses from the cloud also serves entrepreneurial Engelmann’s foremost priority – attracting innovation-inclined workers who see the value in flexible working conditions. Evidently, the ability to work out of the office and largely on one’s own terms can reduce business rental and labour costs too. “I’ve had my marketing agency [TLS Marketing Solutions] for eight years in Brisbane and have always employed people who want to have a better work-life balance,” says Engelmann. Cameron Walker from Book to Cook, a six-month-old Brisbane kitchen hire and food consultancy business, attests to the usefulness of being in the cloud. Like Engelmann, he values flexibility, and at 21-years-old he really doesn’t see the future workplace operating in any other way. Book to Cook is solely operated by Walker and two other staff, a feat which likely wouldn’t be possible without cloud technologies. “It cuts out the middle man in our case,” says Walker. “We can easily operate our social media, calendar and notes for client arrangements, accountancy software, and graphic designer programs from anywhere at anytime and be sure they will instantly sync. For small businesses, technology can make the difference in driving your company ahead and setting you apart from your competition. But the challenge is ‘how do you get there’? 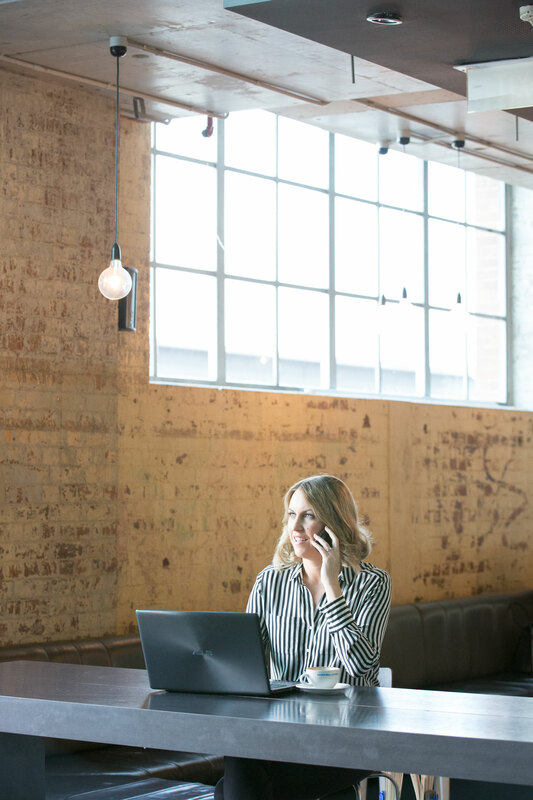 Microsoft can help make the benefits of modern technology a reality for your business. Visit our small business page to learn more.